Summer’s here and that means boating season. 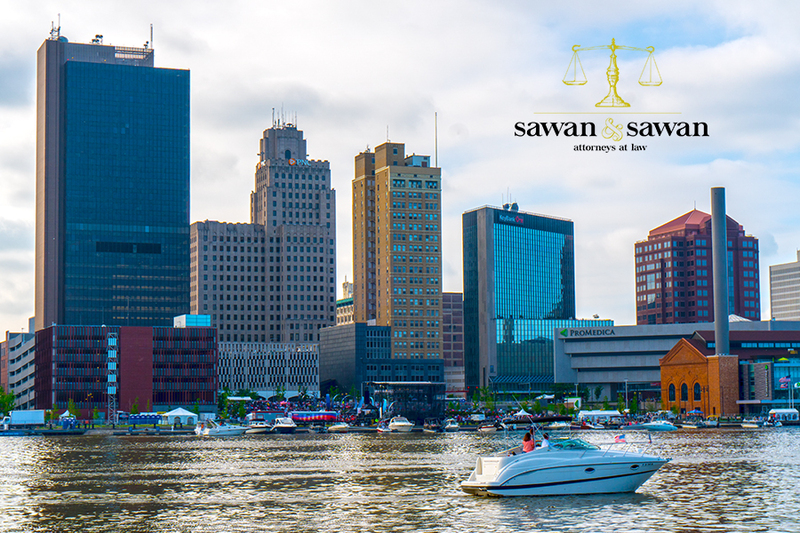 Keep yourself safe and legal on the water this summer with the Ultimate Guide to Ohio Boating Law by Sawan & Sawan. All watercraft must be registered with the State of Ohio in which to legally operate on the waterways of the State. A boat title is similar to an auto title. Both provide proof of ownership. Like an auto title, boat titles are obtained from a title office. The HIN (Hull Identification Number) is the serial number for your boat. It is a unique identification number with 12 digits that is permanently attached to the upper right side of the boat. Pontoon boats will have a visible HIN along the aft crossbeam. Exercise caution when purchasing a boat due to the prevalence of stolen boat sales. One way to avoid this is to make sure you match the HIN to the title. The State of Ohio requirements for safety equipment are based on a number of factors, including the type of boat, type of propulsion, length of boat, your boating activity, and the age of the boater (when it comes to required life jacket wear). Local rules or ordinances may exist that are more strict or require additional safety equipment. It is the boater’s responsibility to be aware of these local requirements. In general, other than commercial vessels, no person shall operate a watercraft without one Type I, II or II personal flotation device per person. Some exemptions may apply. Racing shells, rowing sculls, sailboards, and those individual vessels that have been issued a written exemption by the chief of the division of watercraft and would otherwise be exempt by the federal personal flotation device carriage requirements are exempted from the personal flotation device carriage requirement. Pursuant to O.R.C. 1547.26, all Ohio Watercraft must have an anchor and line of sufficient length and weight to anchor the watercraft in a secure manner. Any motorized watercraft (powercraft) must have a fire extinguisher on board that meets appropriate requirements. To meet the requirements, it must meet or exceed U.S. Coast Guard standards, be capable of extinguishing a gasoline fire and be readily accessible. According to O.A.C. 1501:47-2-05, every vessel shall at all times maintain a proper lookout by sight and hearing. This requires someone to make a full appraisal of the situation and any potential risks of collision. A person required to have the certificate as indicated above and who is stopped by a law enforcement officer while operating a powercraft more than 10 horsepower, shall present to the law enforcement officer the certificate or proof of holding the certificate within 72 hours of being stopped. Except as provided, no person under 16 years of age shall operate a personal watercraft (PWC). Individuals 12 to 15 years of age may operate a PWC if a supervising person 18 years of age or older is also onboard. In the case of a supervising person born on or after January 1, 1982, the supervising person must hold a certificate meeting the requirements of ORC 1547.05 and in the case of rented powercraft, must meet the requirements of ORC 1547.052. According to O.R.C 1547.111, No person shall operate or be in physical control of any vessel underway, or manipulate any water skis or similar device if the person is under the influence of alcohol and/or drugs. It is an offense to operate a vessel while having a Blood Alcohol Content (BAC) of 0.08 or more. 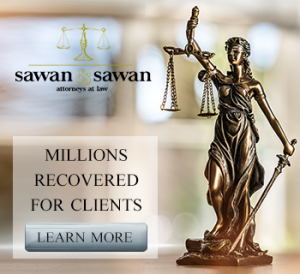 A BAC less than 0.08 is admissable in court along with other evidence of impairment to prove operating under the influence. For persons under 21 years of age, it is an offense to operate a vessel while having a BAC of 0.02 or more. Further, it is an offense for persons under the age of 21 to purchase, possess, consume, or be under the influence of alcohol. Perhaps surprisingly to some people, the simple act of operating a watercraft gives law enforcement the right to investigate the operation of said watercraft without any specific probable cause. Any person who operates a vessel, water skis or similar device shall be deemed to have given consent to a chemical test or tests of their blood, breath, or urine to determine alcohol or drug content if arrested. If a person under arrest refuses to submit to a chemical test the person is prohibited from operating a vessel or water skis or from registering a vessel for a one-year period. If the person is the owner of the vessel the registration certificate and tags will be impounded for a one-year period.